Recently, The Disney Way was translated and published in Korea! 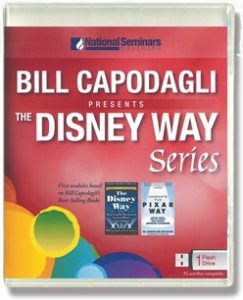 Samsung reported that the book is being read by numerous scholars, students and opinion leaders with “great impression.” Recently, Samsung interviewed Bill for a special news program on the future of retail and how Disney has realized success in the retail marketplace. Watch for an update on the interview’s posting!